New Sash Windows have been growing in popularity due to the constant shift in home trends. It has now become increasingly popular to have a modern themed home, and as the new Sash windows are now uPVC sash windows. These new uPVC sash windows have become increasingly popular due to their durability from extreme weather conditions such as heavy rain, strong winds and intense sun. linke wooden Sash windows, uPVC sash windows can withstand these conditions. 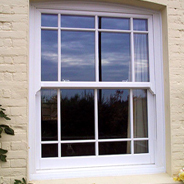 uPVC sash windows also allow for double and triple sash windows to be installed into your windows. This addition can increase the amount of heat that is retained in your home, and also reduces the amount of mould growth from your window. Based in East London and Essex. 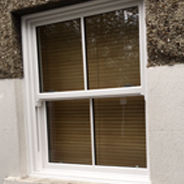 Sash Windows have become extremely popular in East London and Essex over the past few years. This may be down to the recent affordability of Sash window prices, and the traditional styles it may add to your home. Victorian Sash windows have become a mainstay feature when it comes to designing a traditionally styled home, which is something a lot of people are actively seeking. Old Sash windows give your home a warm and traditional style, which is something that is hard to get with any of the other styles of windows available to you. 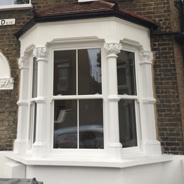 There are various different styles of Sash Windows London has to offer, which is why it’s important to do your research beforehand. An example of the varying types are double glazed sash windows, which function exactly the same as normal sash windows, but they keep your home warmer and reduce the chance of mould growing around your window frame. Sash window repair is also a service that Easiglaze offer to our clients. We take pride in our ability to provide you a quick and efficient service, which makes your life easier. 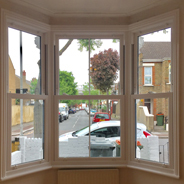 Cost of Sash windows London and Essex The cost of Sash windows in London tend to vary on many different factors. Whether you’re after New Sash WIndows, or traditional styled sash Windows, there are many factors that will change the price of you Sash Windows. The Material of the window will have an effect, whether you’ve chosen uPVC Sash Windows, or you’ve got with wooden style sash windows. London Sash Windows may vary in price depending on your property. 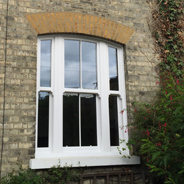 When after Sash windows in Essex, it is important to know what type of Sash windows you’re after. Whether you’re after a newer more modern style of sash window, or you’re interested in the more traditional style of old sash windows. Each type adds a different style and dynamic to your home, and they have different traits which may suit you better. The more modern uPVC sash windows make it so that your windows and window frame are more durable when encountered by harsh weather conditions, but the old sash windows allow for a more traditional looking home and atmosphere. Easiglaze offer: Sash Windows East London Sash Windows Hackney Sash Windows Shoreditch Sash Windows Docklands Sash Windows Hutton Sash Windows Shenfield Sash Windows Stratford Sash Windows Ingatestone Sash Windows Dalston Sash Windows Forest Gate Sash Windows Canary Wharf Sash Windows Essex .